Is it possible to recover lost photos from FujiFilm camera? What happens when photos and video files are deleted or formatted from FujiFilm camera. When photos and other media files are deleted from camera memory card, the raw data of those deleted files are not erased from fujiFilm digital camera. Only the file table entries of the photo and video files are deleted. 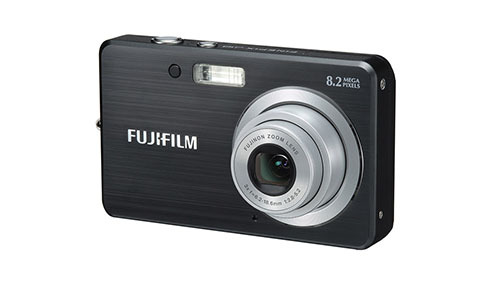 So it is possible to recover deleted photos and video files from FujiFilm camera. 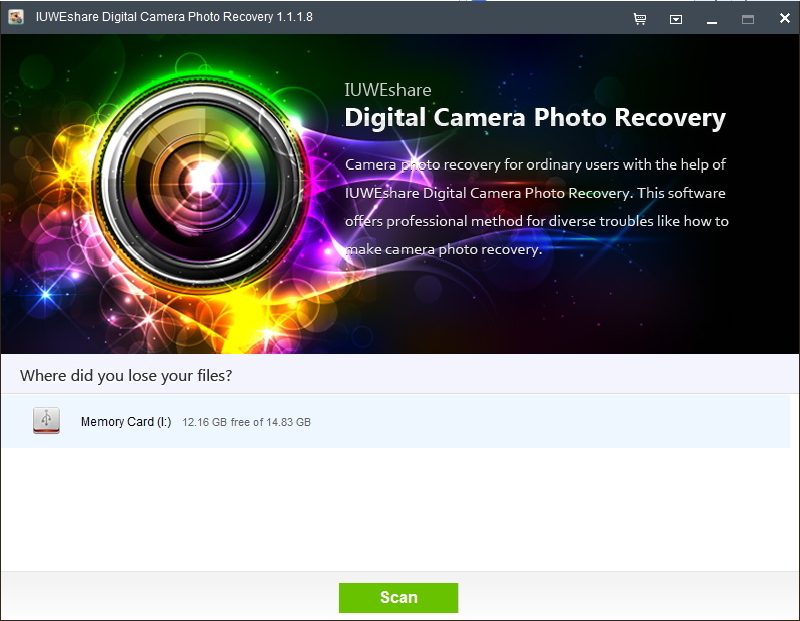 A good way is to download IUWEshare Digital Camera Photo Recovery(Win/Mac) software and use it to scan the memory of FujiFilm camera and collect data of lost files and then form them into photos and videos. Besides recovering deleted photos from Fuji digital camera, the software also can retrieve photos from other popular digital camera brands like Canon, Nikon, Panasonic, Sony, Olympus, Samsung, JVC, and more. The intuitive user interface will let you restore photos from Fuji camera within three simple steps. Connect your Fujifilm camera memory card to computer with a card reader. Launch the program, select the memory card as target disk and click "Scan" button to begin the scanning process. Once the scanning is completed, the recoverable photos, videos as well as images will be presented. Preview the scanned photos , then select what you want to recover and click "Recover" to get them back. Tips : Do not use your Fujifilm camera to capture new photos as it may result in data overwriting. Please take out the memory card from Fujifilm camera and keep it in a safe place to avoid physical damages. Super Zoom Bridge FinePix HS50EXR, HS30EXR, HS25EXR, HS20EXR, HS10, S1, SL1000, S9900W, S9800, S9200 / S9400W, S8200, FujiFilm X Series X-M1, X100S, X20, x30, X-T1, XF1, X-E1, X-Pro1, X-S1, X10, X100, XQ2, XQ1, X100T, X-Pro1, X-E2, X-A1, X-A2, XQ1, S Series S8400W, S4800, S8200, s8650, FinePix SL1000, FinePix HS50EXR, SL300, SL280, SL260, SL240, S4200, S2980, S8600, S8500, S4500, S4530, S4400, S4300, S4200, S4230, S4000, S4080, S3400, FinePix S1, FinePix XP70, F Series F900EXR, F800EXR, F770EXR, F660EXR, Z Series Z1000EXR, XP Series XP200, XP60, XP70, XP80, XP170, XP150, XP100, XP50, XP30, XP31, XP20, XP10, T Series T300, J Series JX500, JX660, FinePix AX650 / AX660, JX700, FZ 100, JZ250 and all other FujiFilm cameras.